ApnaComplex with support from Bannerghatta Neighborhood Association, conducted Waste Management Awareness and Best Practices Sharing Sessions on Saturday, 24th November, 2012. A copy of Solid Waste Management Template for Apartment Complexes and an attractive Waste Segregation Poster have been distributed to the participants. There was a crossword puzzle on Waste Management that was handed over to all participants and Mr. Manish from Klassik Benchmark has won the lucky draw for the same. We are excited to announce the release of next version of ApnaComplex App (Version 1.2) on Google Play. 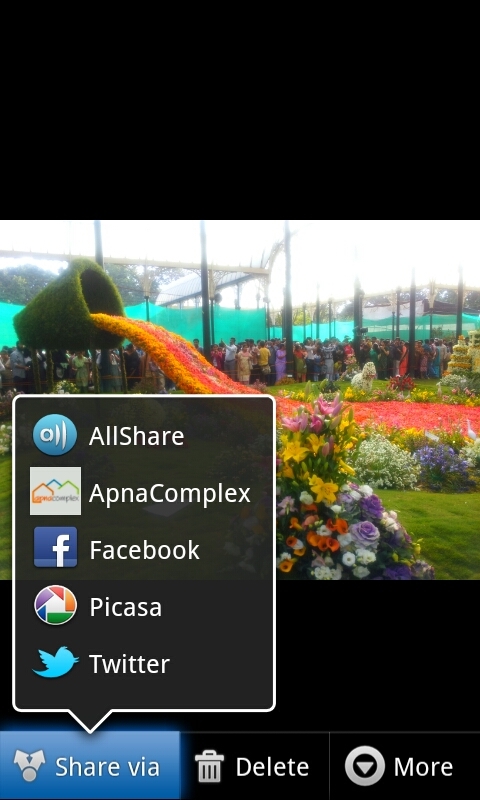 One of the most popular and unique features of ApnaComplex portal – the Society Photo Gallery is now available on ApnaComplex Android App! With this, you can now click snaps of the community events and share with all other members of the society instantly right from your phone. 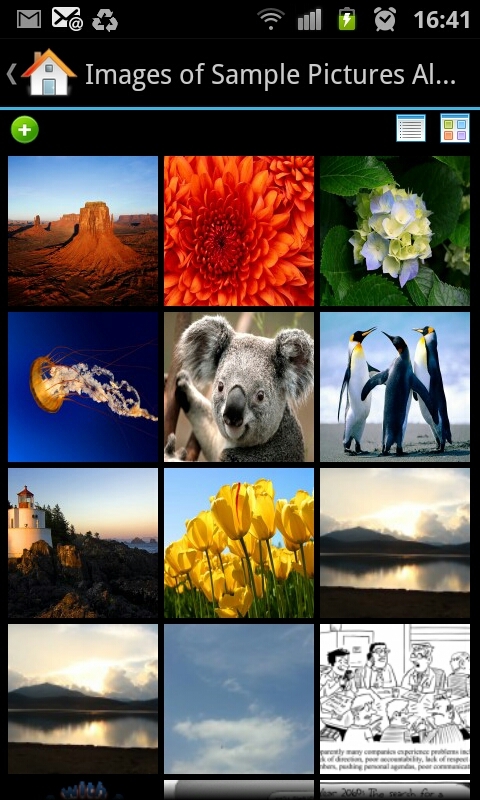 Members can also view all the albums of the society’s gallery right from the phone and comment on photos. An enhancement to the complaint box is released as well – the attachments associated with complaints can be seen now from the phone itself. Go, get the ApnaComplex Android App NOW! Want to manage your Apartment or Housing Society in a Better Way? Get on to ApnaComplex – Today! 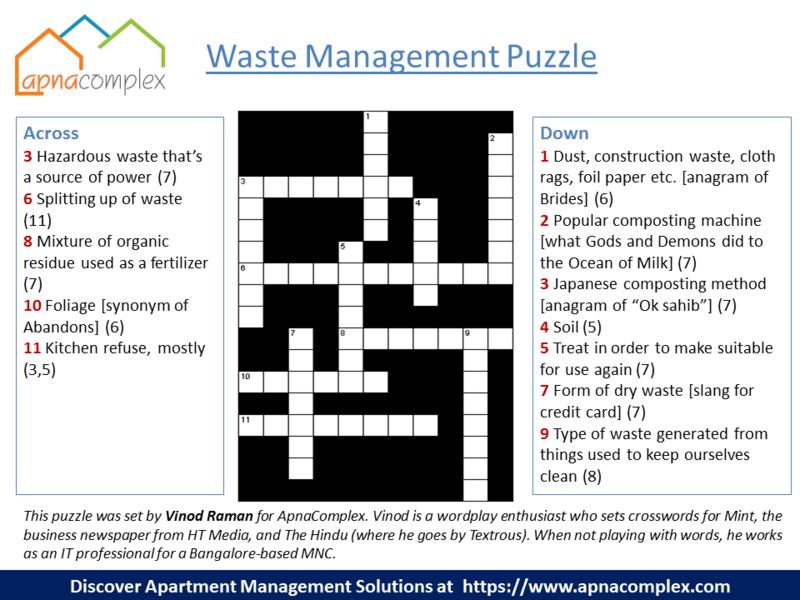 Below are the micro-instructions to the venue of Waste Management in Apartments Sessions by ApnaComplex – Vithola Apartments on Bannerghatta Road. 3. Continue further down for apprx. 2 KMs more towards Gottigere/Bannerghatta Zoo. 4. You will cross Purva Panorama Apartments on your left. 6. Take right at the arch. 7. You can see a lake to your right and Vithola Apartments adjacent to that. 2. You will find Decatholon Sports on your right. 4. Take left at the arch. 5. You can see a lake to your right and Vithola Apartments adjacent to that. Here is also the link to google map for the venue. ApnaComplex with active support of Bannerghatta Neighborhood Association (BANA) is conducting Awareness and Best Practice Sharing Sessions on Waste Management for Apartments in Bangalore. Date & Time: Event is scheduled to happen on Nov 24th from 10:00 AM to 1:00 PM. Event will include presentations by Daily Dump, Ragpicker, Saahas, Youth for Seva – organizations dealing in Waste Management and Best Practices from Apartment Complexes who have successfully implemented Waste Management in their respective societies. The event is free for ApnaComplex paid customers and for BANA members. For others, Rs. 100/- shall be collected at the venue on the event day to cover the incidentals. Please check out the event on Facebook as well. To support these needs, we now allow creation of custom roles for committee members. Just go to Directory->Committee Members->Manage Committee Roles after logging in as admin to see this in action. Striving for a Waste Sensitive Bangalore – Featuring SAAHAS! ApnaComplex is delighted to feature an interview from Saahas – the organization that every waste sensitive communities would know. Below is a detailed interview from Ms. Babita Saxena, Program Head at Saahas who explains more about Saahas and gives advice on how Gated Communities can benefit from services offered by Saahas. Saahas has been doing tremendous work in Waste Management in Bangalore for many years. Can you please explain the background and about the mission of Saahas? Saahas is registered as a society in 2001 has been into solid waste management for the past 12 years and has been committed towards the goal of Zero Waste Bangalore. Based in Bangalore, we work with government institutions, companies, households and schools to bring attention to best practices in the management of solid waste and support implementation of these systems. We work with the informal sector to strengthen the capacities of workers and provide better livelihood opportunities. Though we are based in Bangalore, we have recently begun operations in Chennai and Goa as well. In the medium to long term, we would look to expand to second or third tier cities around Bangalore. Our organization has studied the Municipal Solid Waste (Management and Handling Rules) 2000 and we believe that it provides excellent guidelines for improving the existing situation of solid waste management in the city. Our Vision: To have waste managed in a manner which will recover all the embedded resources, while enhancing livelihood options and safeguarding our environment. Our Mission: Our mission is to develop and facilitate implementation of best practices in waste management so that generators take responsibility for their waste. This in turn will ensure minimal impact to the environment even while livelihood options are enhanced. What are the different services offered by Saahas? Dry waste collection from the client premises on a weekly basis, so that they are sorted and sent to respective recyclers / scrap dealers). This option is feasible for small sized apartments. Hand Holding clients with management of wet waste for a period of 1 or two months. This is especially useful for clients where wet waste generation is not huge and does not require a full time personnel to manage the wet waste. In such places, house keeping staff can be trained to handle this activity along with their regular activity. Can Apartment Complexes approach Saahas for consultancy on SWM and for audit of their SWM practices? Yes, apartment complexes can approach Saahas for consultancy on SWM and for audit of their SWM practices. We can help them get started. Can Apartment Complexes totally outsource their waste management to Saahas? Wet Waste, Dry / Recyclable Waste, Garden Waste as well as e-Waste can be handled by Saahas. The hazardous and sanitary waste will continue to be picked up by BBMP. Does Saahas cater to Private Layouts as well? Yes, as long as the layout has mechanism established to collect waste (door to door) and bring it to a central location which can then be handled by Saahas. Are there any apartment complexes using services of Saahas? Yes. We are servicing a number of apartments in Bangalore. Some of our existing large clients are Mantri Tranquil, Prestige Shantiniketan, Mantri Flora, Brigade Classic etc. Want to get featured here? If you or people you know or your organization makes a difference to Gated Communities, please contact us with your story! We will feature it. With the increased awareness of Solid Waste Management in Bangalore communities, is there any message you want to say to residents of gated communities in regards to SWM practices? Instead of getting demotivated that nothing is happening w.r.t the new rules, the communities should take up responsibility to manage their own waste, so as to reduce the burden on the landfills. Any such major changes are bound to have teething problems, and it is only prudent that each community comes forward and take care of their waste atleast and contribute towards a better city and better environment. With communities / apartments it is easier. Communities must also take responsibility to ensure that the low value waste like packing materials from kitchen, wrappers, tetrapak etc., are truly put to recycling by the vendor who picks up the recyclable waste. How to reach out to Saahas?